Laboratory drying ovens are a crucial part of the daily workflow of laboratories, allowing simple glassware drying to more complex ones, besides controlled heating applications. A number of market players offer laboratory drying ovens that feature superior reproducibility, temperature stability, lower consumption of energy, and temperature precision. Being a delicate process where drying too slow or too fast can ruin the process, perfection in drying improves the overall outcome of sensitive experiments. 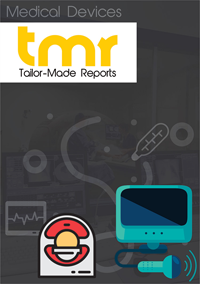 Therefore, a wide range of laboratory ovens, designed to address the varied needs of end users, pertaining to size, temperature range, ergonomics, price, and capacity, are made available by the leading laboratory drying ovens market players. The size of ovens is a major factor to be considered, as laboratories can face space shortage or be focused on low energy consumption. For large sized, stationary lab items including ovens, refrigerators, and constant temperature baths, ergonomics becomes a key factor. Although laboratory ovens are characterized by simplicity, several manufacturers are working on second-tier features such as independent temperature safety and shutoff and enhanced reliability. Besides these, cooling-down capacity, temperature programmability, data logging, monitoring, alarms, and shelving options are also included in the list of features. While Europe exhibits increasing adoption of laboratory drying ovens due to the growing uptake in clinical diagnostics, pharmaceutical and biotechnology companies, and clinical research, Asia Pacific is not far behind in terms of volume of demand. The thriving industrial verticals that require laboratory drying ovens such as food and beverage and healthcare in countries such as China, Malaysia, Singapore, and India are encouraging the growth of the global laboratory drying ovens market. Laboratory ovens used in the processes of processing, drying, sterilization, and testing. It is primarily used to sterilize glassware equipment or sample equipment using convection heating, where the heating element is fixed in an envelope independent from the outer heating agents. Having an external heating element facilitates a more accurate temperature for the sterilization and also prevents the sample from getting burnt or denatured. The laboratory ovens can accomplish reaching the necessary heats due to gravitational or mechanical convection methods. In the former, cool air is displaced by warmer air which is directed towards the heating element until the entire chamber reaches the required temperature. Gravitational heating methods usually require a longer pre-heating time and hold a poorer heat distribution as compared to mechanical heating methods, due to mechanical convection is the more preferred method of sterilization in laboratory settings. Based on mounting types, the global laboratory drying ovens market is classified into bench-top, cabinet and truck-in ovens. Bench-top ovens are installed over a workbench and are smaller than the other types. They are ideal for laboratories having a moderate sterilization requirement and face space challenges. Cabinet ovens are free-standing equipment, typically with a larger capacity and specialized applications. Truck-in ovens are capable of handling larger capacity and require a trained staff for handling and operating. The global laboratory drying ovens market can be segmented on the basis of applications into drying encompasses evaporation, sterilization, baking, and annealing. The sectors of chemicals and food are emerging as key end users in the global laboratory drying ovens market, owing to the growing applicability of these ovens in manufacturing dry thin film batteries and controlling the moisture content level for each respective sector. A lot of the drying ovens have an optimum temperature range of 300° C. Based on the application and utility desired, there are other types of ovens which can have operating temperature above 300° C.
The average laboratory ovens are likely to become obsolete within seven years of manufacture and use and the repair of older and damaged ovens can be costly, time-consuming as well as risky. Lab ovens often fail to meet the specifications of use post repairs, making purchasing a new lab oven typically cheaper than repairing the older one. Regular maintenance of laboratory oven includes regular calibration or checkup of ventilation ports, gaskets, heating elements, blowers, and temperature sensors. Currently the leading drivers of the global laboratory drying ovens market include their superiority in safety and ease of handling as well as installing as compared to the conventional autoclave. Since laboratory ovens use dry heat, it makes them apt for conducting experiments with prions and other similar organisms that are otherwise temperature sensitive. Laboratory ovens are required to meet the requirement and reproducibility guidelines set by the ISO 9001 or ISO/IEC 17025. Geographically, the global laboratory oven market can find an exceptional level of demand within North America, specifically the U.S. The region’s growth rate is largely driven by the strong research and development investment their government and private players have made in life sciences. Swift adoption of upgraded versions in developed regions has also made them a more favorable market for top laboratory oven manufacturers. Asia Pacific, The Middle East and Africa, and Latin America market are highly promising regions due to their rising standard of living and improving healthcare expenditure. The list of key players operating in the global laboratory drying oven market so far has included Azbil Telstar, S.L, Carbolite Ltd., Thermo Fisher Scientific Inc. Panasonic Corporation and others.